Except for 'Casino Royale', the most important James Bond novel by Ian Fleming was 'From Russia With Love'. It laid the foundations for Bond mania and found a mass audience, especially in America, at the height of the Cold War and the death of 007's most famous fan. 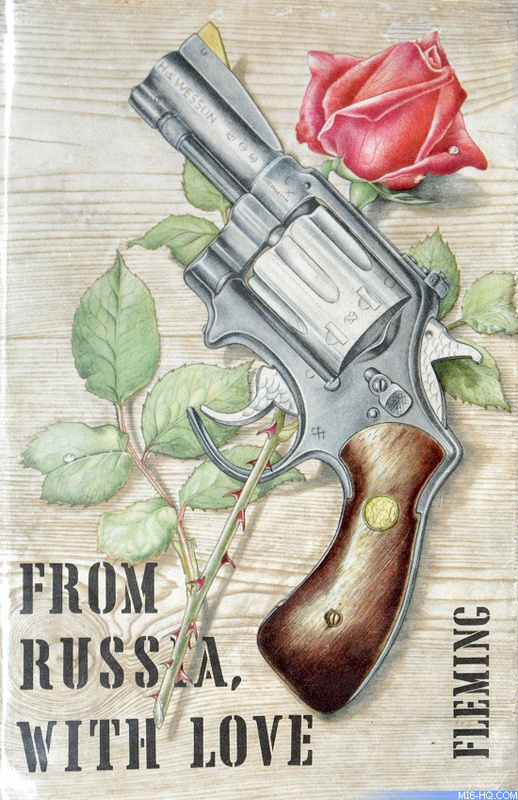 'From Russia With Love' was the fifth James Bond novel by Ian Fleming, published this week exactly sixty years ago in the UK by Jonathan Cape on April 8th, 1957, with (for the first time) a dustjacket design by Richard Chopping. Fleming had published a Bond novel every year and was already growing weary of his creation, leaving readers with a cliff-hanger ending. The format of the novel differs to the previous four outings with James Bond largely absent for the first third of the book. Fleming drew inspiration from a real life 1950 spy story whereby an American agent tried to escape from behind the iron curtain with Soviet documents that identified a blown US spy network. 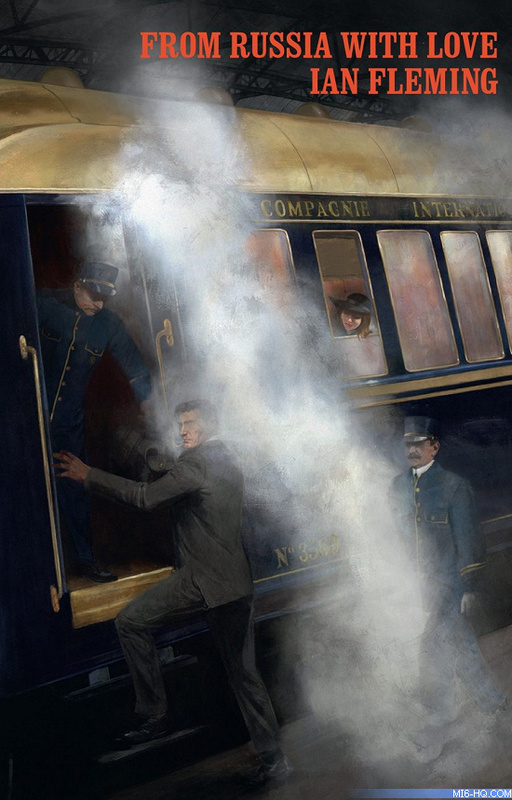 Fearing incrimination and arrest, the agent tried to reach Paris by taking the Orient Express from Budapest. His killers were already on the train. The conductor was found drugged and the agent's body was found in a railway tunnel near Salzburg. Fleming took these events as the basis for James Bond's planned escape in 'From Russia With Love'. Added to the mix was the larger than life character of Darko Kerim, who Fleming based on a real life tour guide that he met on a trip to Istanbul the previous year. The area was awash with spies as it was an espionage hotbed between the worlds of East and West. Unlike some of his other plots, the central gambit to 'From Russia With Love' is encrusted with Cold War conspiracy and the less-fantastical plot is perhaps one of the reasons why it found a wider readership. One of the main protagonists in Fleming finding a bigger audience, before the film series kicked off Bondmania in the mid-1960s, was President John F. Kennedy. The American President first found 007 in New England in 1955 when he read 'Casino Royale'. A few years later, Kennedy famously named 'From Russia With Love' and one of his top ten favourite books in Life Magazine in 1961. An adoring public took his book recommendations to heart and Fleming's sales jumped Stateside, becoming the highest-selling crime author in the USA. Fleming had met JFK in 1960 in Washington DC thanks to his friend, Mrs. Marion Leiter - she was the one that gave JFK the copy of 'Casino Royale' years prior. On November 21st, 1963, Kennedy watched the movie adaptation 'From Russia With Love'. It was the last film he would see before he was assassinated the next day in Dallas, Texas. Fleming's novels went from selling 6,000 copies a week in 1960 to selling 112,000 copies at the end of 1963 when the film adaptation was hitting cinema screens around the world and millions of Americans were looking to escape into another reality. Bondmania was still to take the world by force in the next couple of years, but unfortunately, his creator would not survive to see 007's peak in popular culture.